It's been a while since we've put to print one of our Classic Reflections pieces, and this one is from guest writer, Sybil Vasche. Some consider When Worlds Collide (1951) a "B" movie, but this movie is really not but rather, a fine example of a 1950s sci-fi premium film. The movies starts out with a handsome pilot, David Randall (Richard Derr) who was hired to fly some photographs from one scientist, Dr Bronson (Hayden Rourke) in South Africa, to another scientist Dr. Hendron (Larry Keating) in America. The photographs are the proof that a star, named Bellus, is on a collision course with Earth. Hendron tries to alert the world, via the United Nations, that the world is going to end in about 8 months, but of course no one believes him. He has the idea of building a space ship to transport as many humans as possible to a planet named Zyra that is in orbit around Bellus. But because no one will believe him, he turns to a wealthy businessman named Sidney Stanton to finance the building of a ship. Stanton wants to pick the few lucky passengers, but Hendron instead convinces him otherwise "you can sit in the front seat with the grownups." They end up choosing people by lottery. There is also a love triangle of sorts between Hendron's daughter Joyce (Barbara Rush) and her doctor boyfriend Tony Drake, and the pilot Randall, whom Joyce is becoming more and more attracted to. Things heat up even more as Earth becomes unstable and the lottery losers try to storm the compound where the space ship is being built. Who will end up staying and who will end up going to Zyra? 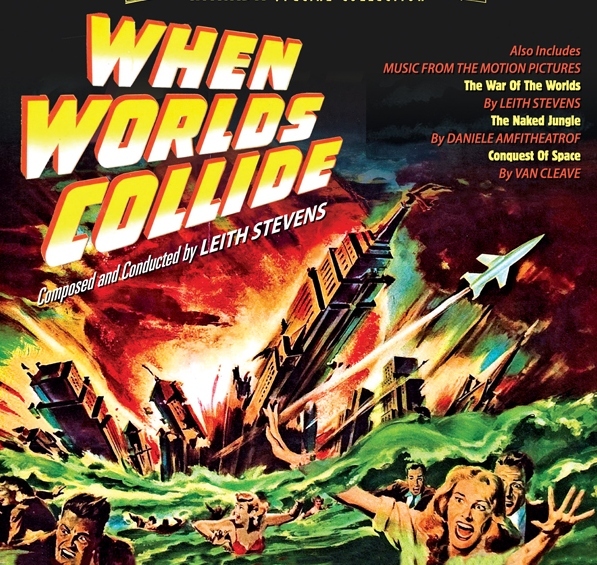 When Worlds Collide was first published in 1933 as a serial in Blue Book magazine. It was written by two authors, Philip Wylie and Edwin Balmer. Wylie was a prolific writer who authored many books, short stories, news articles, commentaries, etc. He lived a very interesting life doing all kinds of things from writing screenplays in Hollywood to advising the chairman of the Joint Congressional Committee for Atomic Energy. If you ever get the chance to read anything of his, take it. (His story Gladiator was supposed to have inspired the Superman character.) Balmer was a reporter before writing sci fi and mystery novels, this story is probably is best known work. 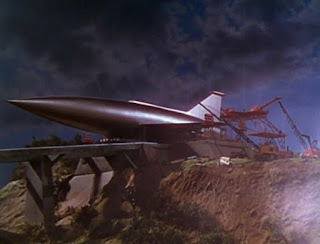 You should be familiar with George Pal from War of the Worlds and The Time Machine. He produced this film and chose Rudolph Mate to direct. Mate - like many directors - started out as a cinematographer before switching to directing. (He did some beautiful work on films like Gilda, 1946, and Cover Girl, 1944- both with Rita Hayworth in her heyday - and was nominated 5 times but sadly never won.) Some of his efforts include The Black Shield of Falworth (1954) and later The 300 Spartans (1963) - the film that inspired the more recent Frank Miller film of the same name. Since this film was made in the early 50s it's a bit dated now, but it does have good acting, directing and lush color. The special effects, as mentioned above, won the Oscar for 1951 and were pretty impressive at the time. This film is currently being remade, but sadly the director is not someone I'm impressed with, Stephen Sommers, who directed the GI Joe: The Rise of Cobra movie. I'm sorry but a movie based on a toy is like basing a movie on a Disney ride. The story is delivered in 1 hour and 22 minutes. Editor's note: The latest version of this movie, being helmed by Stephen Summers (The Scorpion King, & the latest Mummy movie franchises) has this film as "Announced," but no development news other than that has been presented. My personal take is that if Summers is directing, they aren't taking the most serious route to recreating the awe that this movie could potentially represent.